Here are the Workshops I provide on a rolling Programme. Do contact me if you want to book onto the next one, or a particular one to help your business.. Just click the Find It Here tab. The next workshop will be posted on the Home page, but specific commissions for your organisation are welcome. You can have a Workshop or 121 Training sessions with your key staff members. Requests for this in exciting international locations are welcomed! Learn the basics of how to use Twitter to market your business and increase your leads. What to do and how to do it – a great basic course. Learn how to get real business enquiries from LinkedIn and how to be an Expert in your field. • Which Groups should you join and why? 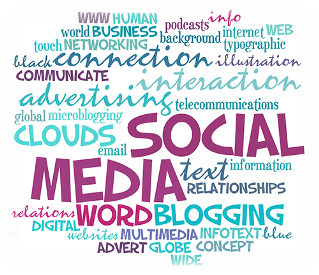 Find out what Social Media is all about and why it will improve your Website SEO. Why you should have a Social Media Strategy and what it can do for your business. • Why should I engage with people and who and how? • How will it benefit my business? Writing a good business letter is crucial to how others see your business. Find out how to do it and get some great template letters. Find out how to do a Blog for your business, your Club or your Hobby. All the Do’s and Don’ts that will improve your writing, increase your readers and bring new enquiries to your business or Club Membership. Learn all about ‘Content’ writing techniques for your business. In 2 hours you will learn how to promote your business by writing fantastic copy! • Why you need a TAGLINE • Writing a memorable 60 second Elevator Pitch • How to write a Press Release and what to do with it • Writing the perfect ADVERT, LEAFLET or BROCHURE • Why you need 3 different Calls to Action! • What is an ADVERTORIAL, EDITORIAL • Insider Tips on how to get stuff published for FREE!